Weblin will move to a bigger server. The current server was supposed to be a test. It is working quite well. But for a long term production system, there should be a new system. The main difference is, that the test system was a single server and the new system will be a small cluster of several hosts. 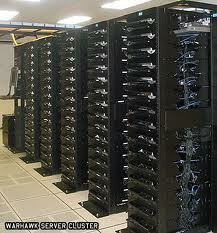 We will separate the server roles Web, Database, Messaging. This makes the system more powerful, more fault tolerant, and more scalable. Most preparations are already done. The transition is supposed to happen on Sunday morning. There will be a downtime for several hours, which you hopefully won't notice because I plan to get up early and be ready when most people go online.